Scott Taylor is an Associate Professor of organizational behavior at Babson College, a research fellow with the Coaching Research Lab at Case Western Reserve University, and a core member of the Consortium for Research on Emotional Intelligence in Organizations (CREIO). The primary focus of his research is leader assessment and development. He enjoys studying the various methods organizations use to assess and develop their leaders, evaluating the effectiveness of these methods, and developing new methods and technologies to improve leader assessment and development. As a result, his research has focused on competency development (especially emotional and social competence), leader self-awareness, management education, 360-degree feedback assessment, executive coaching, and sustainable individual change. Scott’s scholarly work has appeared in several outlets such as Academy of Management Learning & Education, Frontiers in Psychology, Human Relations, Industrial and Organizational Psychology: Perspectives on Science and Practice, Journal of Applied Behavioral Science, Journal of Leadership Studies, Journal of Management Development, Journal of Management Education, Journal of Organizational Behavior, PLoS ONE, and Organizational Dynamics. In addition, Scott has over twenty years of teaching experience in a variety of settings. He has been an instructor and facilitator of leadership development, human resource, and organizational behavior courses to executive, graduate, and undergraduate students. He has won several awards for both his research and his teaching. 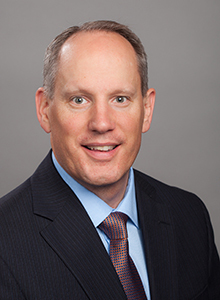 As part of the Babson Executive and Enterprise Education faculty, Scott has taught in custom programs for, among others, EMC, FLIR Systems, MCAA, MilliporeSigma, National Football League, Siemens, and Veolia. Independent of Babson, Scott’s has worked domestically and internationally with companies in a variety of industries. His past and present executive development work includes organizations such as Coca-Cola FEMSA, Fifth Third Bank, Office for Financial Research (of the United States Treasury), Pemex Gas y Petroquímica Básica, Sandia National Laboratories, Sherwin Williams, and the Smucker Company. Scott is an accredited consultant for the Emotional and Social Competence Inventory (ESCI), a member of the Academy of Management, the American Psychological Association, the Society of Industrial and Organizational Psychology, and the Organizational Behavior Teaching Society. Scott has a B.A. in Spanish from Brigham Young University and received an MBA with concentrations in organizational behavior and human resource policy and a PhD in organizational behavior from Case Western Reserve University. Prior to joining Babson College, Scott was an assistant professor in the School of Management at Boston University and later an associate professor with tenure in the Anderson School of Management at the University of New Mexico. MSNBC, Business Week, The Wall Street Journal blog, Nature, the Society for Human Resource Managers, the Academy of Management, The Globe and Mail, and other media outlets have featured Scott’s research. Cross, R.L., Taylor, S.N., Zehner, D., , . (2018). Collaboration without burnout. Harvard Business Review. Vol: 96, Issue: 4, Page: 134-137. Atwater, L.E., Tringale, A.A., Taylor, S.N., Braddy, P.W. (in press). Looking ahead: How what we know about sexual harassment now informs us of the future. Organizational Dynamics. Taylor, S.N. (2016). Don’t give up on the self too quickly. Industrial and Organizational Psychology: perspectives on science and practice. Vol: 9, Issue: 4, Page: 795-813. Society for Industrial and Organizational Psychology. Taylor, S.N., Sturm, R.E., Atwater, L.E., Braddy, P.W. (2016). Underestimating one’s leadership impact: Are women leaders more susceptible?. Organizational Dynamics. Vol: 45, Issue: 2, Page: 132-138. Elsevier. Byrnes, R.T., Taylor, S.N. (2015). Voluntary transition of the CEO: owner CEOs' sense of self before, during and after transition. Frontiers in Psychology. Vol: 6, Page: 16. Frontiers Research Foundation. Boyatzis, R.E., Rochford, K., Taylor, S.N. (2015). The role of the positive emotional attractor in vision and shared vision: toward effective leadership, relationships, and engagement. Frontiers in Psychology. Vol: 6, Page: 13. Frontiers Research Foundation. Amdurer, E., Boyatzis, R.E., Saatcioglu, A., Smith, M.L., Taylor, S.N. (2014). Long term impact of emotional, social and cognitive intelligence competencies and GMAT on career and life satisfaction and career success. Frontiers in Psychology. Vol: 5, Page: 15. Frontiers Research Foundation. Mahon, E.G., Taylor, S.N., Boyatzis, R.E. (2014). Antecedents of organizational engagement: exploring vision, mood and perceived organizational support with emotional intelligence as a moderator. Frontiers in Psychology. Vol: 5. Frontiers Research Foundation. Sturm, R.E., Taylor, S.N., Atwater, L.E., Braddy, P.W. (2014). Leader self-awareness: An examination and implications of women's under-prediction. Journal of Organizational Behavior. Vol: 35, Issue: 5, Page: 657-677. John Wiley & Sons Ltd..
Taylor, S.N. (2014). Student Self-Assessment and Multisource Feedback Assessment: Exploring Benefits, Limitations, and Remedies. Journal of Management Education. Vol: 38, Issue: 3, Page: 359-383. Sage Publications, Inc..
(2014). Why do Managers Engage in Trustworthy Behavior? A Multilevel Cross-Cultural Study in 18 Countries. Personnel Psychology. Vol: 67, Issue: 1, Page: 61–98. Wiley-Blackwell Publishing, Inc..
Taylor, S.N., Bright, D.S. (2011). Exploring conditions for openness in multisource feedback assessment. Journal of Applied Behavioral Science. Vol: 47, Issue: 4, Page: 432-460. Sage Publications, Inc..
Taylor, S.N., Hood, J. (2011). It may not be what you think: Gender differences in predicting emotional and social competence. Human Relations. Vol: 64, Issue: 5, Page: 627-652. Sage Publications, Inc..
Taylor, S.N. (2010). Redefining leader self-awareness by integrating the second component of self-awareness. Journal of Leadership Studies. Vol: 3, Issue: 4, Page: 57-68. Taylor, S.N. (2006). Why the real self is fundamental to intentional change. Journal of Management Development. Vol: 25, Page: 643-656. Boyatzis, R.E., Taylor, S.N., Stubbs, E. (2002). Learning cognitive and emotional intelligence competencies. Academy of Management Learning & Education. Vol: 1, Issue: 2, Page: 150-162. Boyatzis, R.E., Rochford, K., Taylor, S.N. (2015). The impact of shared vision on leadership, engagement, citizenship and coaching.. Page: 199. Frontiers in Psychology. Powley, E.H., Taylor, S.N. (2014). Leading healing in a broken unit: Understanding Complex Military Operations: A case study approach. Page: 115-131. Routledge Studies in Security and Conflict Management.